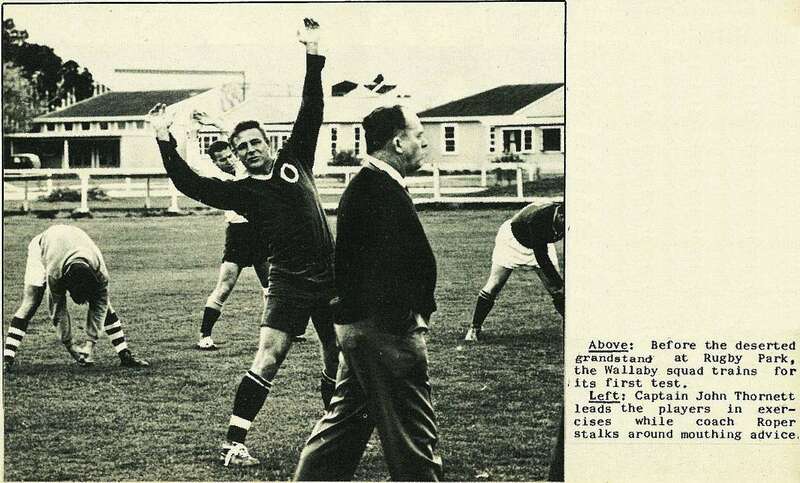 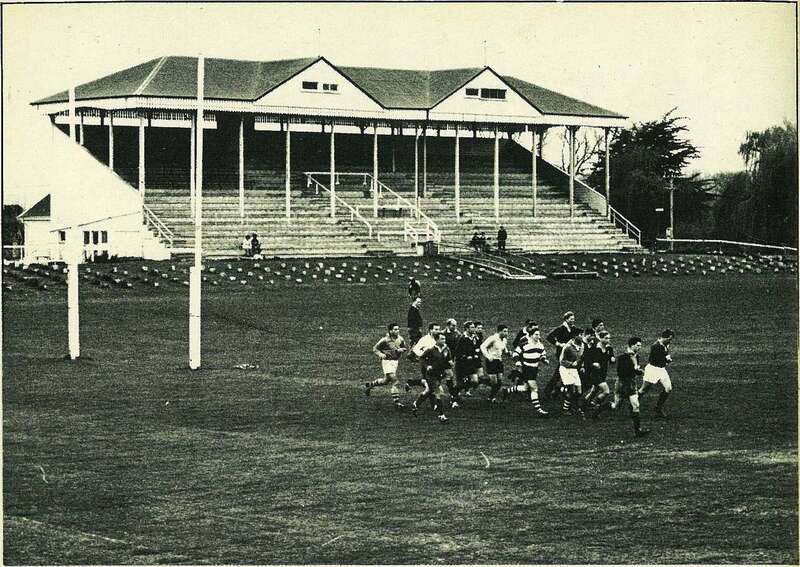 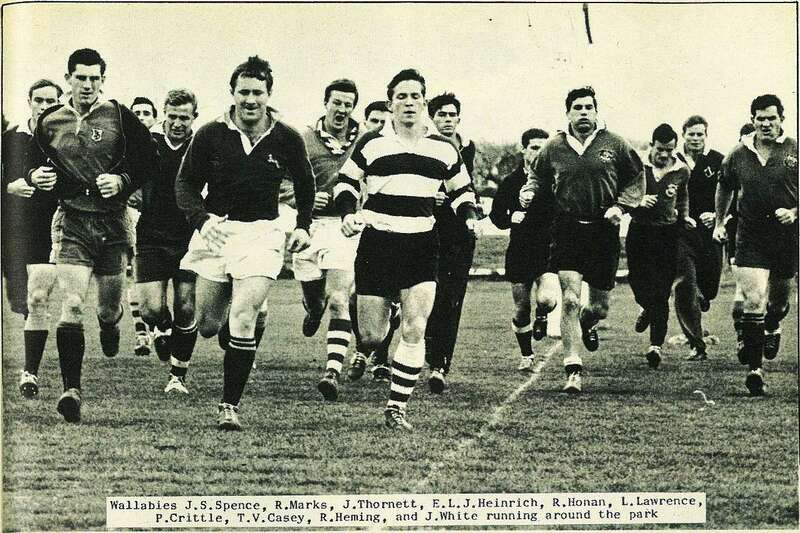 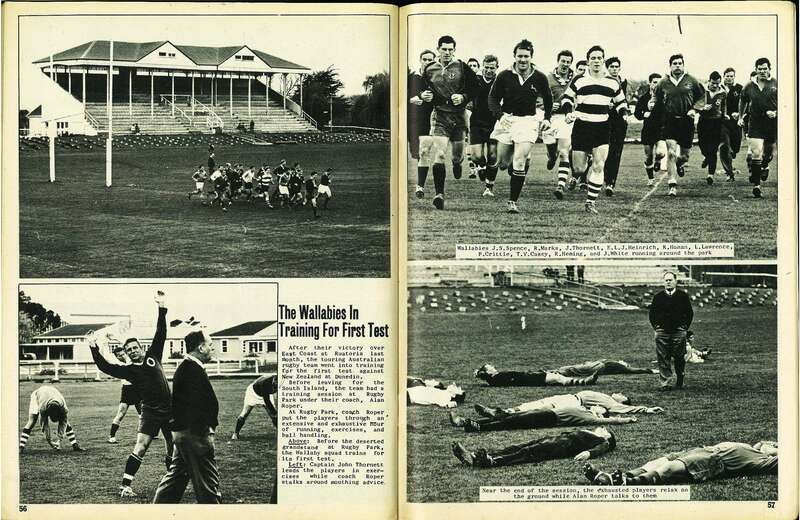 After their victory over East Coast at Ruatoria last month, the touring Australian rugby team went into training for the first test against New Zealand at Dunedin. 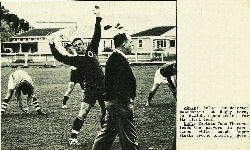 Before leaving for the South Island, the team had a training session at Rugby Park under their coach, Alan Roper. 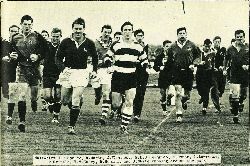 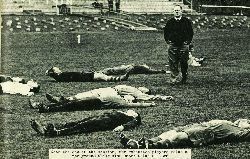 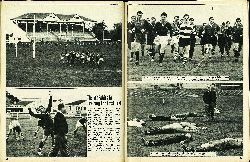 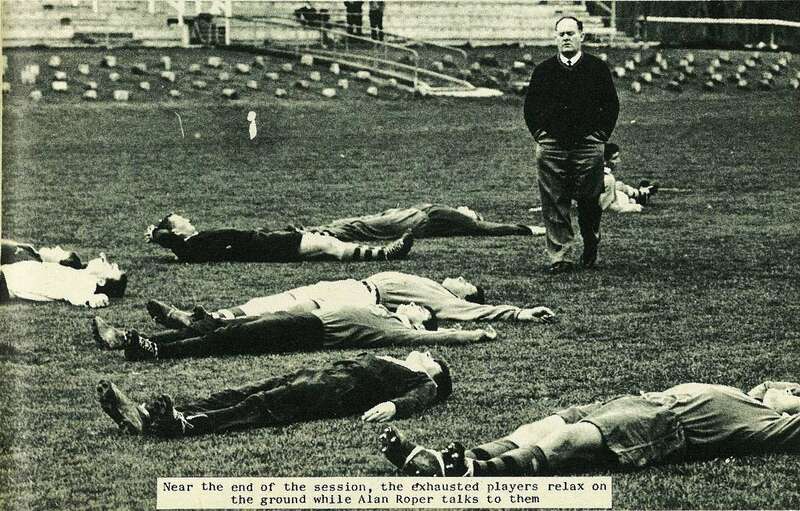 At Rugby Park, coach Roper put the players through an extensive and exhaustive hour of running, exercises, and ball handling. 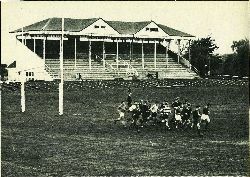 Before the deserted grandstand at Rugby Park, the Wallaby squad trains for its first test.